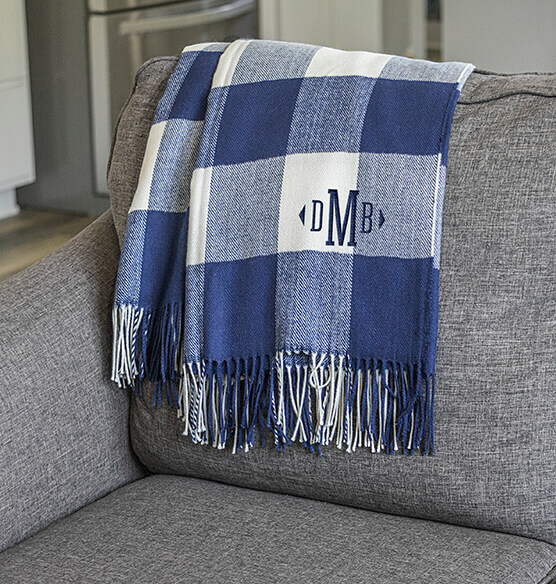 The Personalized Buffalo Check Throw is a true classic that offers a cozy luxury. 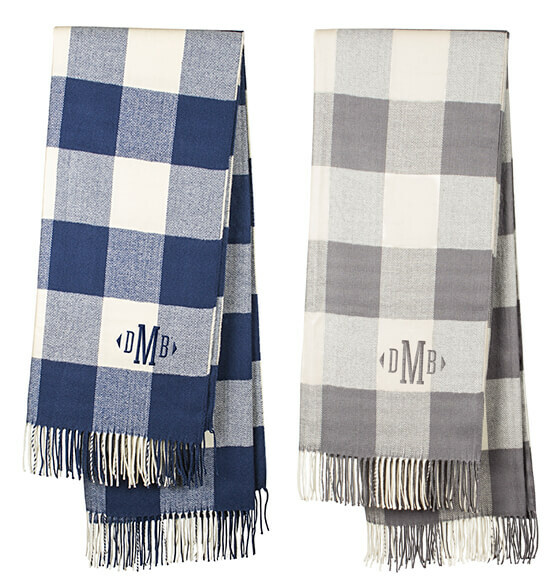 This beautiful plaid blanket is crafted from 100% polyester acrylic and features a buffalo check pattern in two colors. 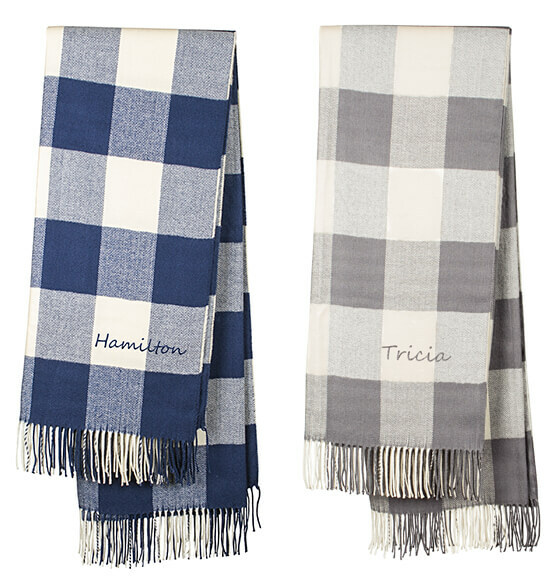 This exceptional throw delivers enduring comfort and style, making it a great gift for any occasion. Blue is expected to be in stock December 7, 2018.